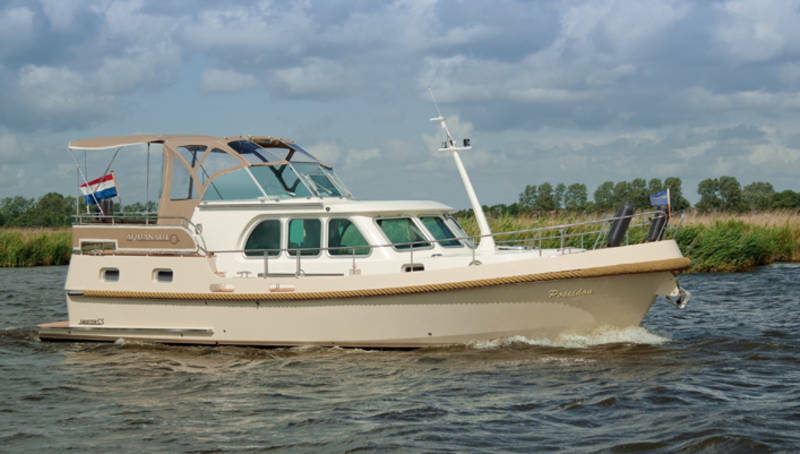 If you are looking for a bespoke Dutch steel cruiser for long term cruising – be it on European waterways or around the Mediterranean – Aquanaut have the expertise and experience to build your perfect boat. 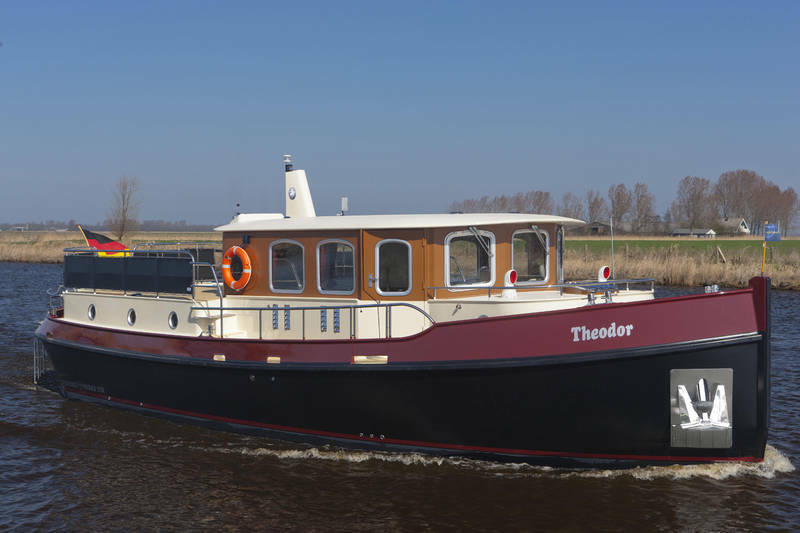 What sets Aquanaut apart from other Dutch steel builders is the extensive range of their 27 plus models (10m to 17m) finished to a superior level of quality; many items such as bowthruster and heating are included in Aquanauts high standard specification unlike many other Dutch steel manufacturers who charge for these items. 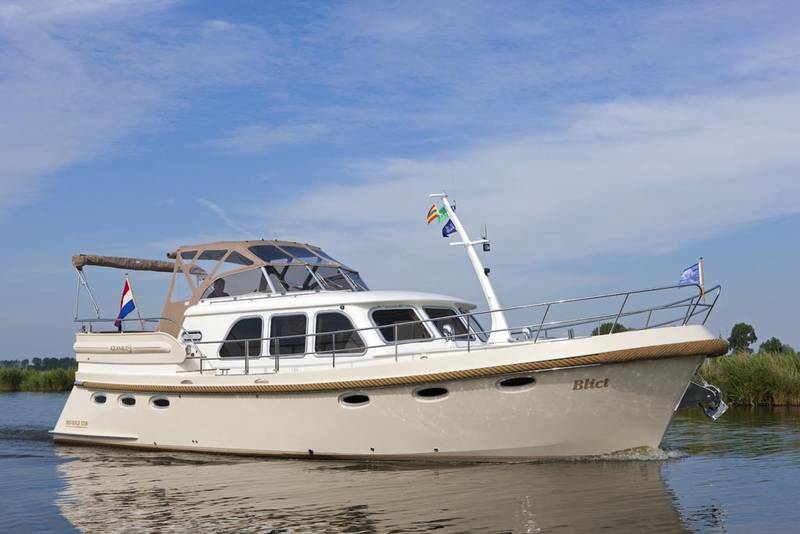 If you are unsure of what model would suit your cruising requirements, why not charter? 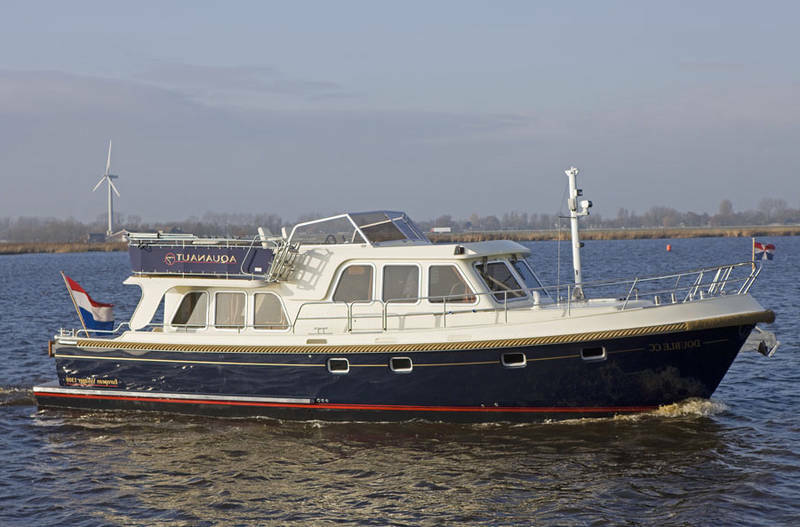 'Holidaying' on an Aquanaut motor yacht in Friesland, the northern part of Holland, is a very unique experience - with its 17 lakes and 11,000 hectar of water all connected via countless large & small channels, forming a watersports area of unlimited possibilities. Sneek the water sport capital of Friesland is home to one of the largest sailing events in Europe the "Sneekweek" which generally takes place in the first week of August on the beautiful Sneek lake. TBS Boats Bray have been the UK importer for Aquanaut since 2002, our wealth of experience in bespoke design and build means that we are able to offer you assistance and advice throughout the build process from initial enquiry to delivery. During the construction of your boat we always encourage factory visits to see your second home being built; any individual customer requirements can be accommodated. Once you have taken delivery of your boat we continue to look after you in assisting with any queries you may have. We are very proud to still be in regular contact with all our past purchasers. If you are thinking of a displacement steel cruiser please give us a call or pop into our Bray office to see what we can offer. This boat is from the Aquanaut new boats range available from TBS Bray.